CD Genomics provides a fully flexible genotyping service for small, large, standard or customized projects, on humans and many other species. 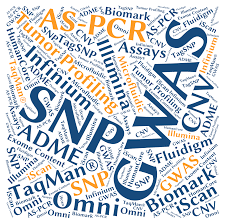 Our powerful portfolio includes arrays, reagents, instruments and bioinformatics tools that enable you to detect common and rare single nucleotide polymorphisms (SNPs), copy number variations (CNVs) and other genetic variations. CD Genomics genotyping services accommodate projects with a broad range of applications. With more than 10 years of service experience, we offer a highly trusted, flexible and competent service combined with high industry standards and scalable capacity, and we have been recognized as the premium choice of SNP genotyping. Single Nucleotide Polymorphisms (SNPs) are bi-allelic (usually) nucleotide variants that have been found throughout the genome at a frequency of about one in 1,000 bp. They can be found in coding, non-coding, and intronic regions of genomes, and they may affect transcription factor binding, gene splicing, protein folding, and many other elements at the gene and transcript level. Hence they may be responsible for the diversity among individuals and genome evolution, and are ideal markers for identifying genes associated with complex diseases. SNPs are one of the two most common sources of genetic variation (the second one are copy number variants, CNVs). SNP analysis is important and quite meaningful for studies such as disease related genetics, individualized health management, breeding, etc. On the basis of the purposes of the study, SNP genotyping can be divided into two domains, whole genome genotyping and fine mapping. Whole genome genotyping is a platform for screening SNPs. Fine mapping here is defined as SNP genotyping analysis at a high density for selective genomic regions. Fine mapping often follows large-scale genome-wide studies to zoom into potential genes associated with the disease of interest, and requires the validation of fewer (e.g., fewer than 1,000) SNPs highly specific for each disease for a larger sample size, it should achieve a high call rate for all selected SNPs, without time-consuming assay optimization processes, and at a relatively high multiplex level. A key issue in high-throughput genotyping is to choose the appropriate technology for your goals and for the stage of your experiment. CD genomics offer researchers the flexibility to profile samples with thousands to millions markers in high-throughput format, and deliver dense genome-wide coverage with the most up-to-date content available from the scientific community. Genotyping by Sequencing (GBS). We employ the latest Illumina sequencing platforms to obtain genetic variations information in a more efficient way. SNP Microarray. Convergence of DNA hybridization, fluorescence microscopy, and solid surface DNA capture through both Affymetrix and Illumina Arrays. 2b-RAD. A new restriction-site associated DNA (RAD) sequencing and a novel reduced representative whole genome sequencing method to enable genome-wide genotyping in a cost effective way. MassARRAY SNP Genotyping. A non-fluorescent detection platform utilizing mass spectrometry to accurately and sensitively measure PCR-derived amplicons. Scalable platform. CD Genomics is able to perform an effective analysis on small to large samples due to its variety of SNP genotyping platforms. Quality assurance. Through our strict QC process, we only provide data of high resolution and high quality for the utmost reliability. Experiment design. Selection of SNP fit for research purpose, and then a selection of platform based on the number of samples and design possibility. Genotyping. Validation of the existence and frequency of known SNPs and discovery or novel SNPs. Data. Provided in Excel format. For SNP discovery, raw data, annotation, LD results are also provided. We aim to provide the highest level of service, confidentiality and customer support. Our extensive expertise can help expedite your SNP and mutation analysis assays with speed, quality, and reliability. 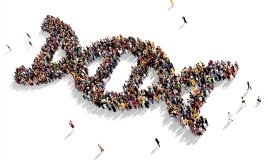 With our services you can either take a deep look into the genome or search for unknown genotype-phenotype connections or genotype already known variations.